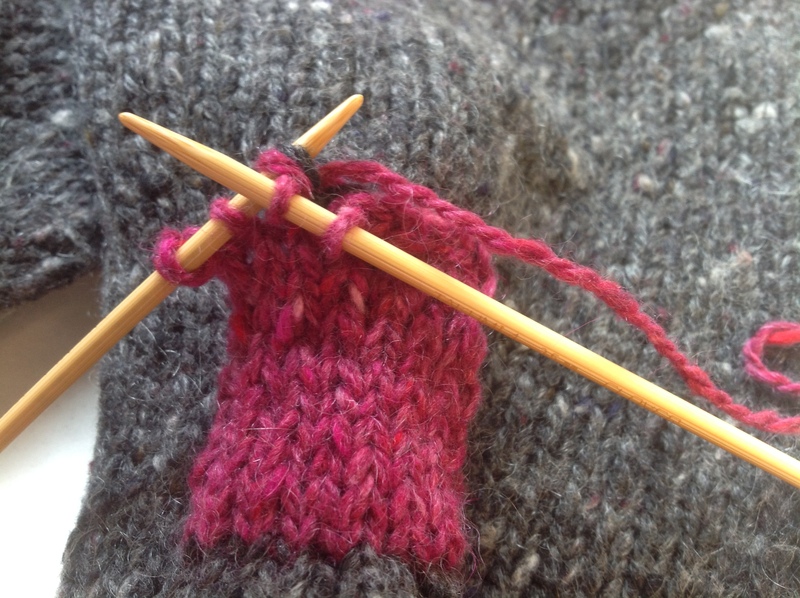 Mending handknit socks, sweaters, scarves or just your favorite knits in general is so important. They are precious to us and, with the proper restoration, can be worn and loved forever. There are several ways you can repair those worn out spots and here are some tools you will need for mending…. 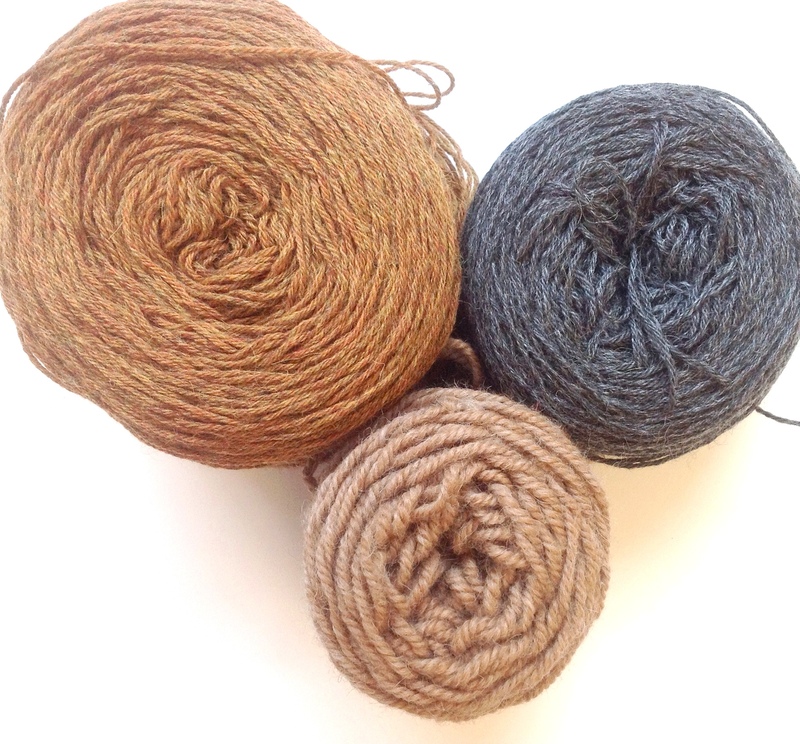 2) yarn for mending – Of all Berroco yarns, I’d recommend something from the Ultra Alpaca family – especially Ultra Alpaca Fine, which is a blend of wool and nylon. I think a sweater with a big hole may call for a patch. You can use yarn in a matching color to make a patch or add a new color for a funkier look. 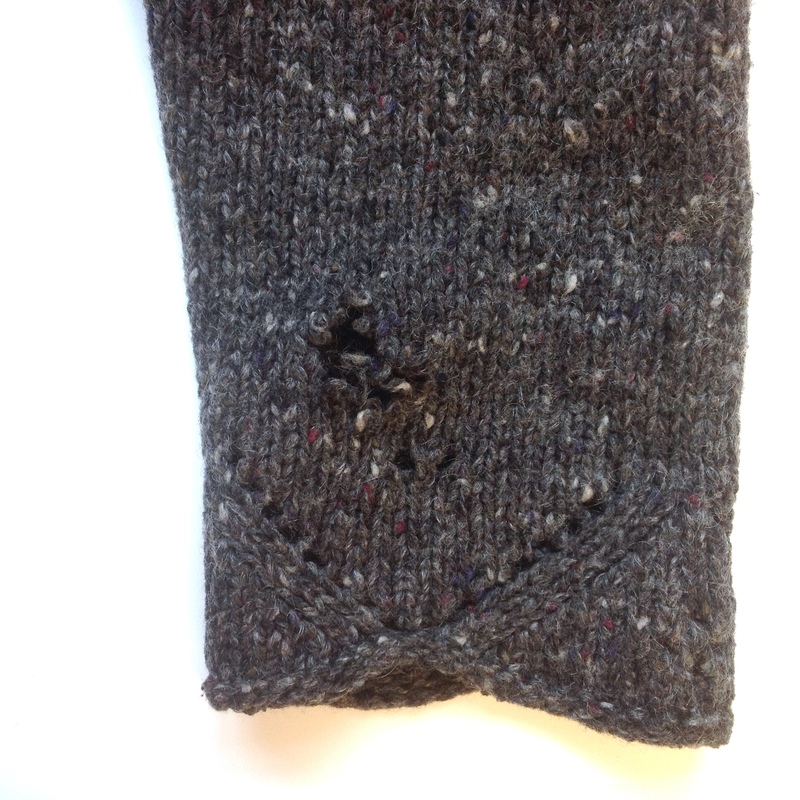 I patched a beloved sweater of mine, which was a hand-me-down from my mom. It had a big hole in desperate need of some loving. I used Blackstone Tweed (for its wonderful texture) and some small double pointed needles. Oh no!! A big, bad hole. 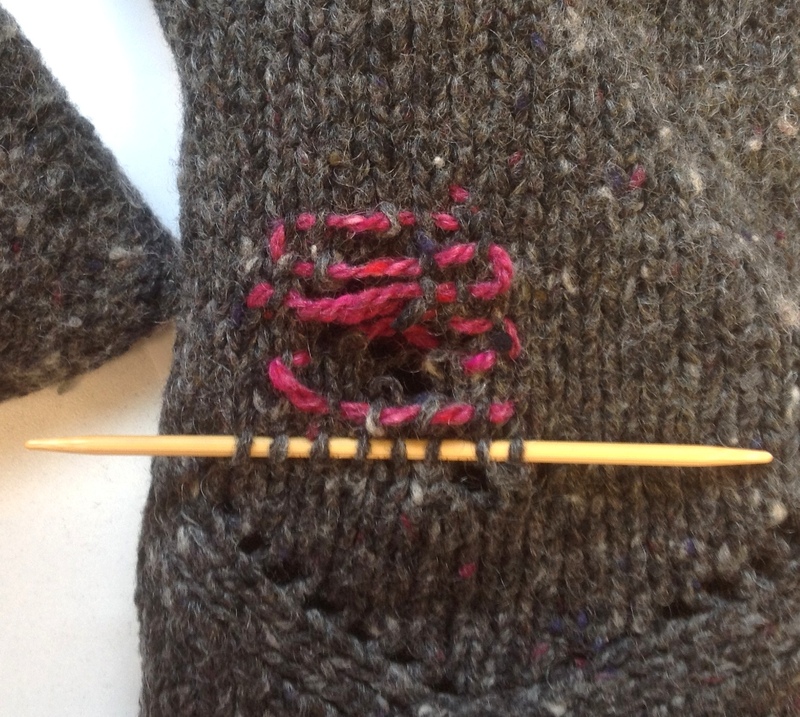 Reinforce the knit by weaving into the area of the hole. 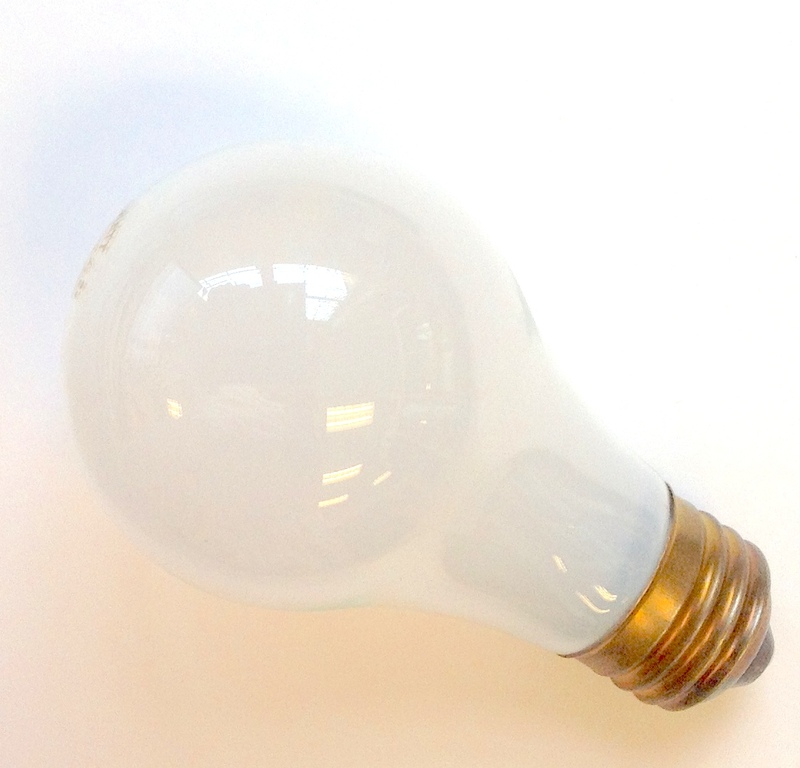 Use the light bulb inside for support. 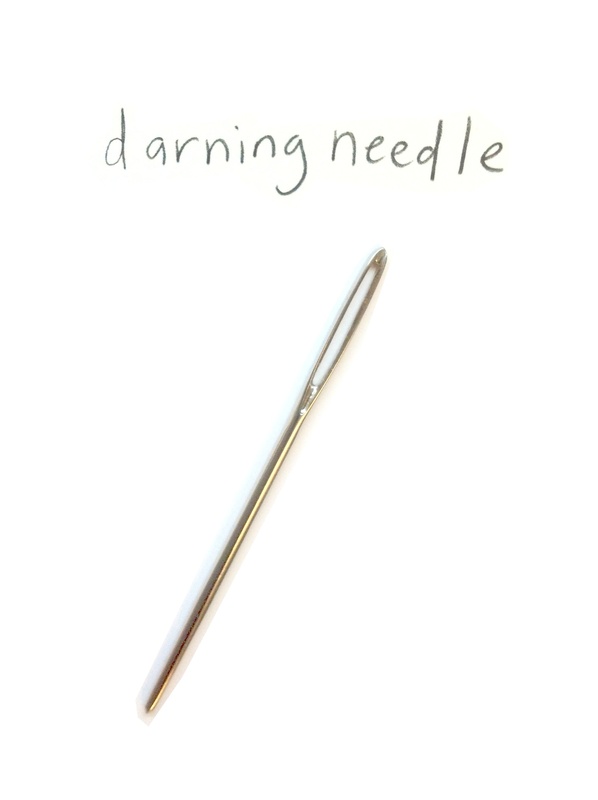 Make a point of weaving into the live stitches that could continue to cause problems later…. Weave in your ends and now you are ready to patch over the reinforced hole. Start to knit your patch! 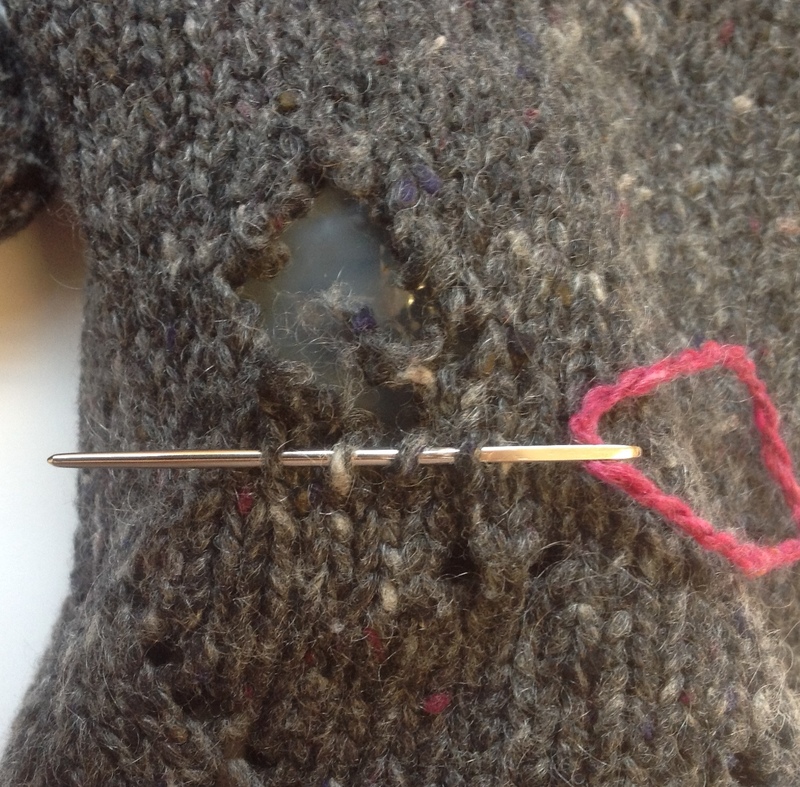 Pick up stitches along the sides of your hole and knit them together with the first and last stitches of your patch. Seamless! 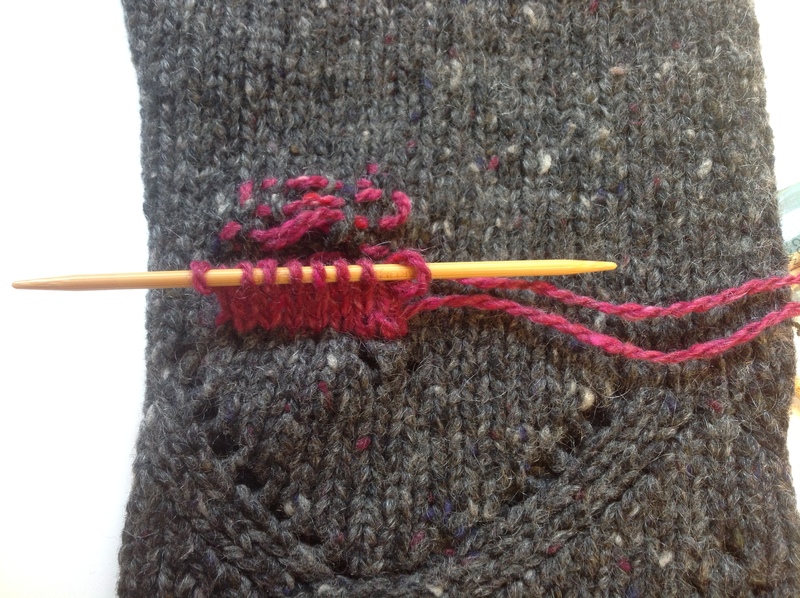 When I am ready to bind off, I pick up a stitch and knit it together with a stitch in my patch. I do this across the entire row, binding off after each one. I chose to knit the patch in a fun contrasting color. I love pink. 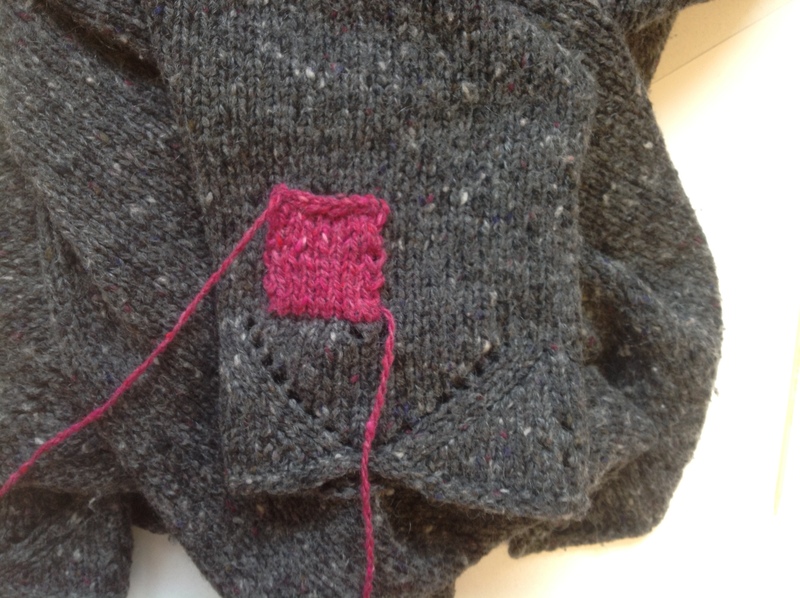 I think I am going to leave the ends of my knitted patch hanging (the threads) just for fun. The particulars of this technique are up to you, but I always encourage fun! Great tutorial with such easy-to-follow photos. You just might want to learn the correct usage of lie and lay though. Keep up the good work! 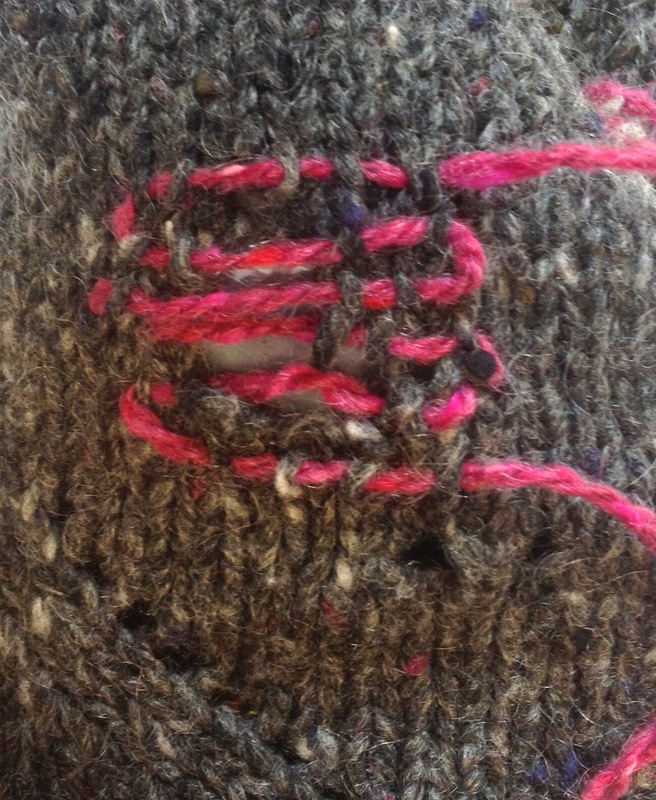 What a lovely patch……..never gave it a thought re: contrasting yarn! Very effective..thanks!